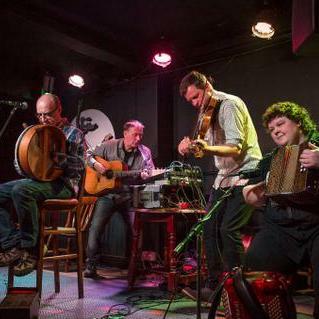 With a repertoire that encompasses fast and furious Celtic tunes and songs, gentle ballads, quality contemporary numbers as well as some original material, this Nottingham based band are one of the most sought after on the club, pub and festival circuit. 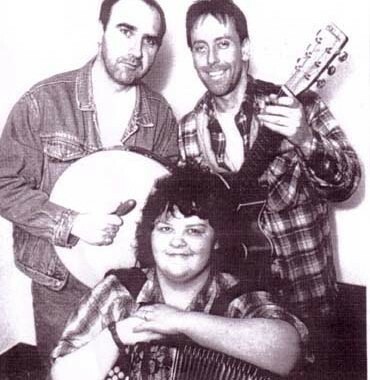 TONY DUGAN – Vocals, bodhran and banter! The rich sound provided by the accordion, powerful rhythm guitar and bodhran give a fullness that belies the number of people on stage. 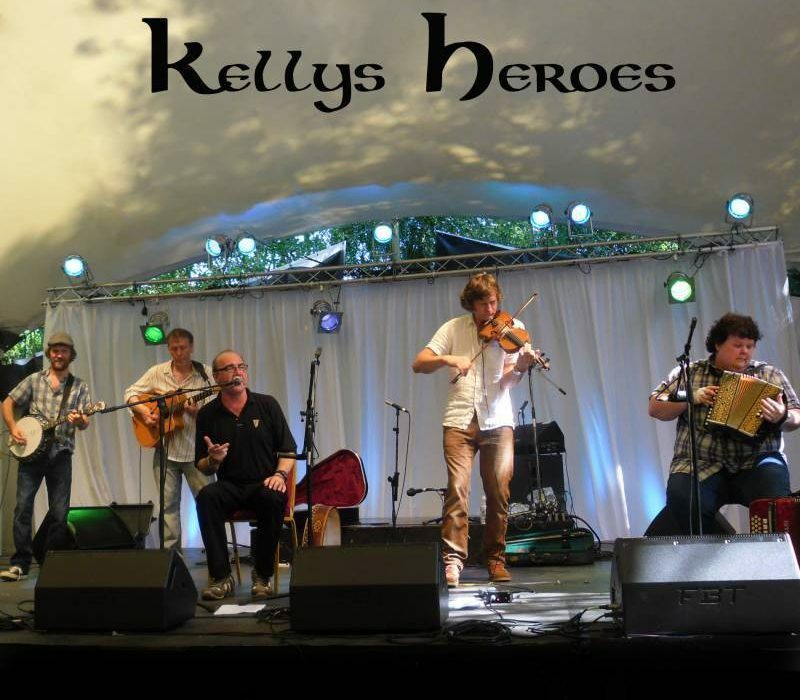 With gigs spanning the length and breadth of the country, as well as appearances overseas, Kelly’s Heroes have a work load which proves their broad popularity. 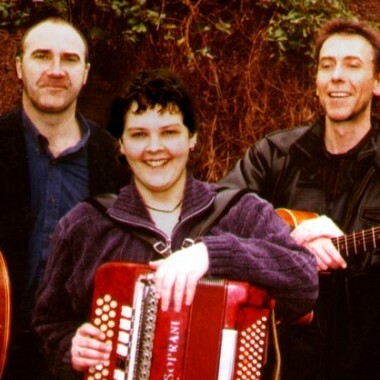 Most gigs are undertaken as a three-piece band but when playing for ceilidhs they always bring along a caller who works wonders at getting people involved in fun, easy traditional dances. When required, the band is sometimes augmented by other top-quality musicians, playing fiddle, highland pipes and whistles. 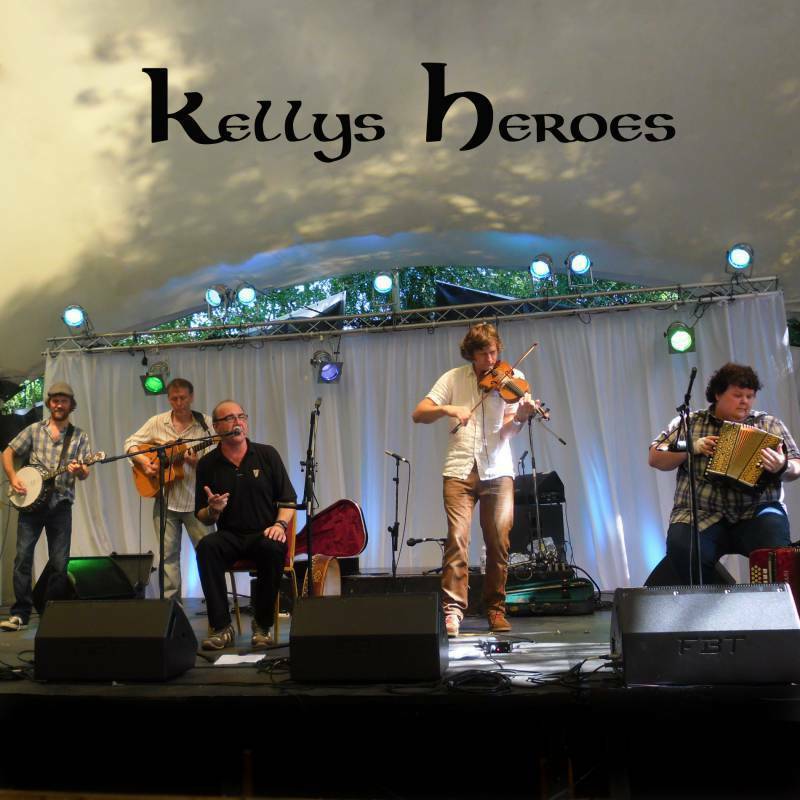 “Hi, Please can you pass on my thanks to Kelly’s Heroes for providing a great nights entertainment at my wedding on the 15th Sept. Everyone enjoyed themselves and had a great night dancing. Unfortunately we had to leave early so I was unable to thank the band myself.